I made a basic singing arc, based on this Instructable. 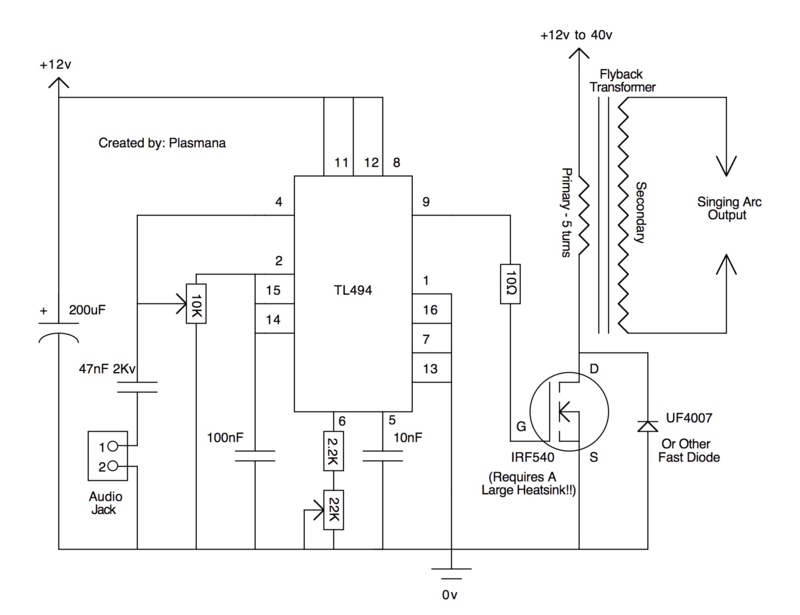 Here is Plasmana’s original schematic. Replacing the IRF540 with a bigger MOSFET (such as the FQA16N50) will let you dump more current at higher voltage across the flyback, making even bigger sparks. Adding a gate driver between the TL494 and the MOSFET would also likely help.